The Chanler at Cliff Walk offers a selection of meeting venues, each one offering a refined setting for memorable meetings and special events. 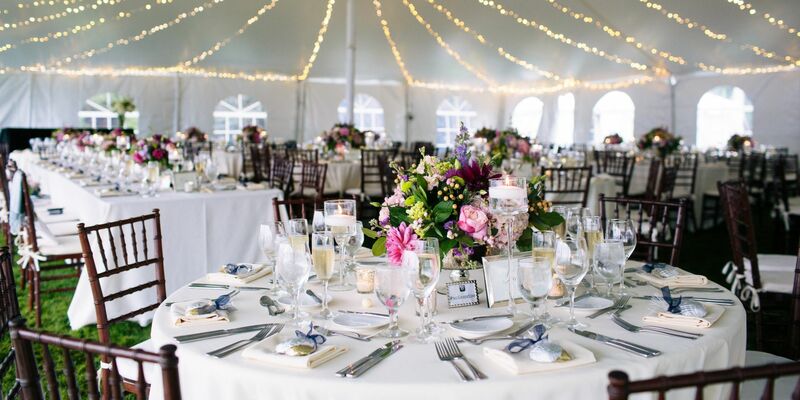 Events at The Chanler range from small and mid-size business meetings to social gatherings and formal dinners. We specialize in small overnight groups of up to 20 guestrooms, but are able to accommodate groups of up to 200 for larger events. Review our different event venues below and be sure to visit our gallery for a glimpse of our breathtaking spaces. 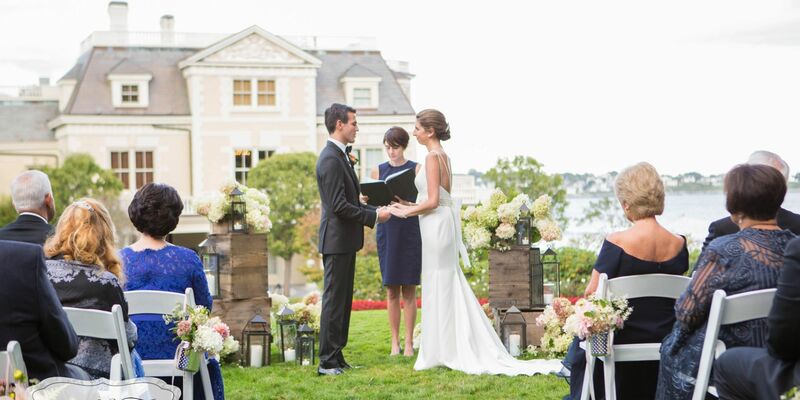 To start planning your event at The Chanler, please Submit a Request for Proposal. Our outdoor terrace can accommodate large parties of up to 120 guests. Sparkling views of the Atlantic and pleasant ocean breezes provide a serene atmosphere against the backdrop of our Gilded Age mansion. The former sunroom of the mansion, this bright airy space provides a casual semi-private location for dinners. A slightly larger meeting or event room for up to 18 guests, The Easton Room features panoramic views of Easton's Beach and the Atlantic and also offers balcony access. The formal dining room is available seasonally for private events. It features a full fireplace and open kitchen allowing guests to marvel in our chef's talents. This elegant space is ideal for business meetings, executive retreats, or a small, private dinner party. Handsomely paneled in carved mahogany and outfitted with plush leather chairs, this room seats up to eight guests. 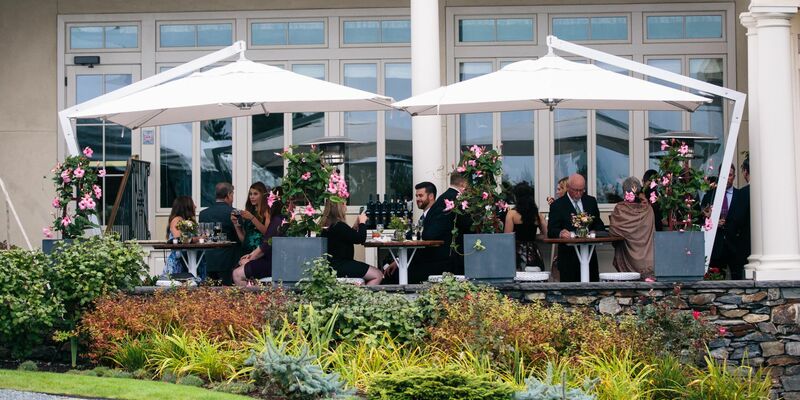 Our expansive manicured Cliff Lawn, elegant terrace, and Cara Restaurant can accommodate large parties of up to 200 guests. For use of just Cara and the terrace, we can accommodate up to 150 guests. For more information on hosting Newport, RI events at The Chanler, please feel free to Contact Us.